Shoppers browsing in the Body Shop will have no idea they have stepped into Worthing's own Bermuda Triangle. 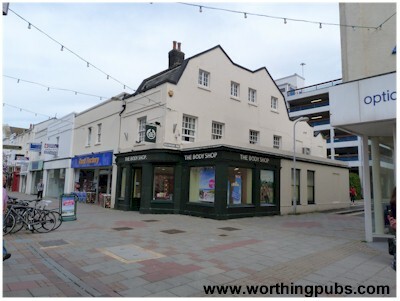 The Buckingham formed part of a triangle of three pubs, each a dart throw from the other. 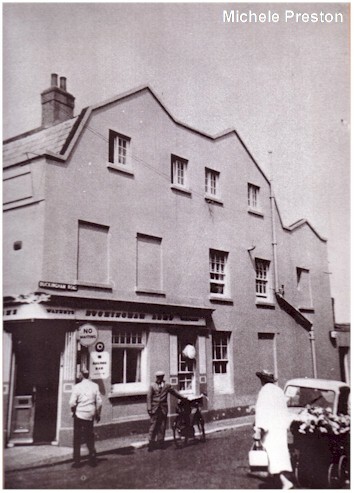 The Buckingham, the Kings Arms and the Victoria - very handy if the landlord kicked you out! From the pictures above, we can see a small addition to the original building. 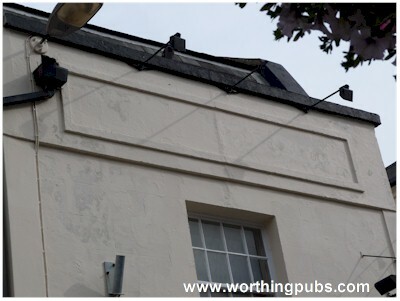 The design features seem to imply this was done whilst it was still a public house. Steve Coombes remembers . . .
"My friends mum and dad had this pub in 1980. The ground floor and first floor were for drinking and the top floor was where they lived. My friends name was Marko Hill. When you went in the bar was on the left and there was seating down the right. 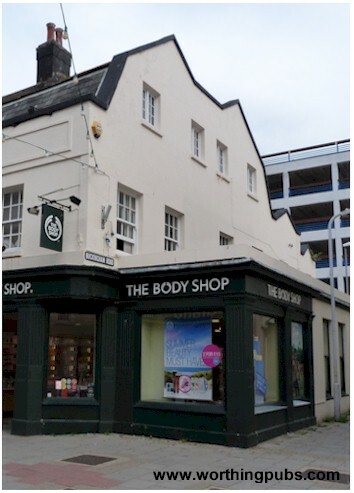 The Body Shop put the building on the side I think in about 1986. I remember being able to sit in the bar and have crisps and a coke." 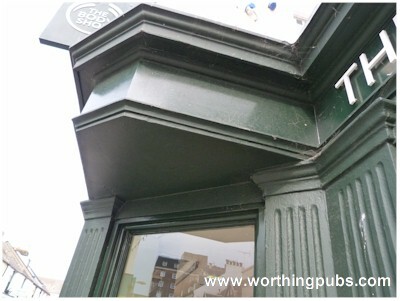 A close up view of the architectural moulding on the front where the name would have been painted. I have seen a picture where this is visible but for some reason this ceased. We don't know if the pub had the traditional swing sign outside. Door detail - left. 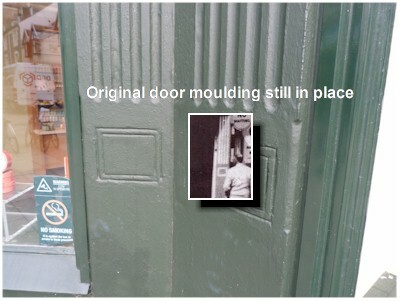 It was common practice to have a door on the corner at that time but here it has been converted into a window. The pediment above still exists, although slightly blunted. A more detailed view of the door posts which are solid not wooden. This one clearly shows it's original, whilst the one covered up is carefully copied on the then new extension. Again, this is solid rather than wooden - a sign of craftsmanship I feel. 1960's Edmund (Jim) and Maud (Winks) Greenfield.